Description: Over the last few decades, literary criticism has come increasingly to consider its relation to politics, socio-economics, gender, psychoanalysis, language and cultural values. Chaucer's most popular and widely-studied work, The Canterbury Tales, boasts a body of criticism which well reflects the diversity of scholarly readings, from the New Critical to the postmodern. The essays gathered here offer the student some of the best and most provocative readings of the Tales as well as a wide range of critical approaches. 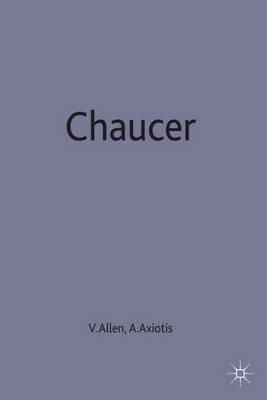 The editors' introduction outlines these developing schools of Chaucerian criticism against the background of the history of literary criticism itself, giving students an illuminating context in which to assess the complex and rewarding work of this great poet.